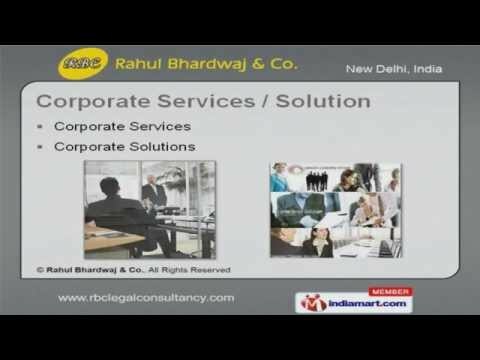 Welcome to Rahul Bhardwaj and company, Service Provider of Legal Advisories for Corporates, Institutions, Commercial Establishments and Individual Clients. The company was established in the year 2000. Latest analytical techniques and In-house law officemake us unique in the industry. We are backed by Competitive price, diverse range of services and cost effective solutions. We offer a wide assortment of Recovery Solutions, Criminal cases, Asset Reconstruction Management Services. Our Legal Services and Recovery Solutions are a class apart. Corporate Services and Solution offered by us are best in the industry amongst others. We also provide Civil, Criminal, Taxation and Consumer Cases that are cost effective. Our Data Entry Services, Asset Reconstruction Management Services and Consultancy are nothing butthe best solution for all your needs. Along with that we offer Documentation Services that are extremely reliable.